Panther CricFest 2016, a mega cricket tournament organised by Jindal Steel & Power Ltd (JSPL) at Jindal Sports Arena, Angul has been concluded on December 14, 2016. This Nine-day long cricket tournament managed by the Jindal Officer’s Club (JOC) of JSPL was witnessed 17 matches, played under floodlights. Chasing to a target of 101 runs to win the Panther Crickfest 2016 title in 10 overs, Spartans achieved it in the last over by making 104 runs. Mr. Jayant Majumder of Spartans made an unbeaten 45 runs in 22 balls and declared as Man-of-the-Match while Md. Saddam Hussain of CGP clinched the title of Man-of-the-Tournament. Mr. Dinesh Kumar Saraogi, distributing the trophies, appreciated the effort of Jindal Officer’s Club Members for keeping up the sportsman spirits of the employees of this organisation and conducting various successful sports tournaments in regular interval. 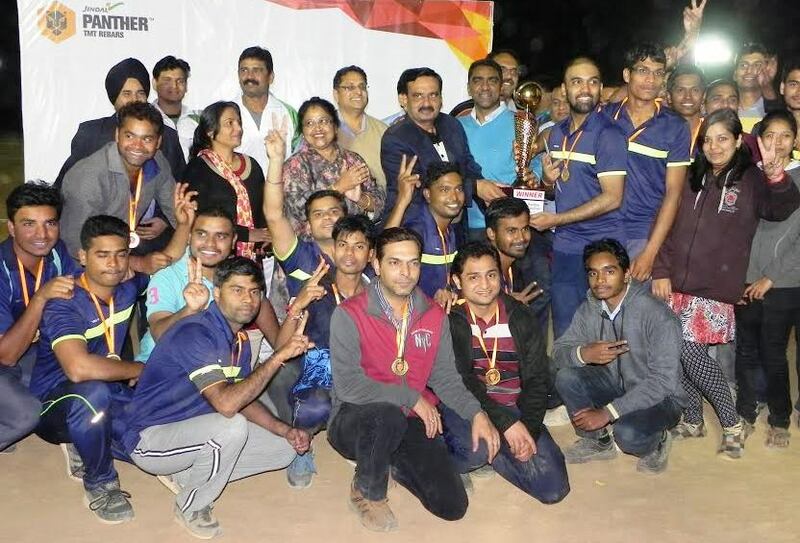 All the departments of JSPL participated with their best players in this Cricket Extravaganza which was inaugurated on 6th Dec, 2016. The tournament was managed by JOC Sports Secretary Capt. Ajit Singh, Mr. M. Amit Kumar and their team.